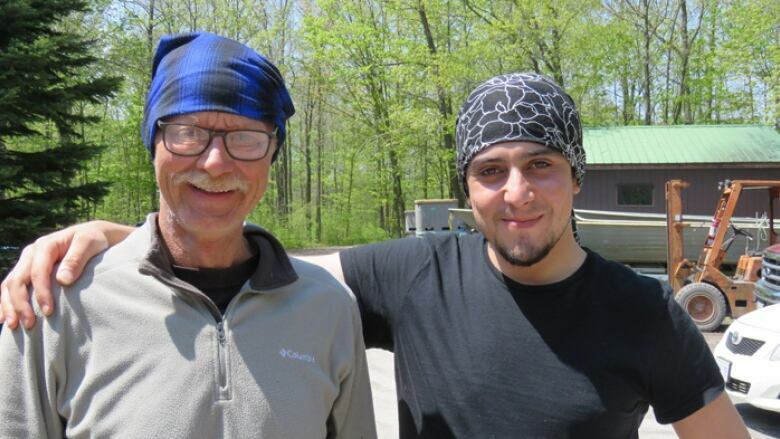 A veteran fisherman from Prince Edward County is handing the reins of his company over to a 21-year-old Syrian newcomer in an effort to keep the only fish processing operation left in the county alive. Kendall Dewey, 66, was desperately looking for someone to take over the commercial fishing business that had been in his family for four generations. "He had worked in Lebanon, starting at a very early age — 13 or 14 years old — at a stone quarry, trying to earn money for his family," Dewey told CBC Radio's Ontario Morning last week. "He had rather nasty experiences in Lebanon working for people. And he saw this as an opportunity to have his own business and not work for anybody else." "We did contact government employment agencies and basically said [that] we have... a ready-made occupation, a job, we have facilities that can be used until someone can get on their feet," he told Ontario Morning. "They weren't of any assistance." "I didn't want to see [our company's] particular value to the overall fishery, what's left of it anyhow, lost," Dewey said. "He's carrying it on — and I hope he continues to do it in the future."